The Tooley MBR stock, inspired by David Tooley, has gained wide acceptance in the shooting industry and is often duplicated by other stock manufacturers. Designed for 1000 Yard Benchrest shooting, this stock is proven to enhance performance. It has an extra long 3 inch wide forend for extended tracking surface. 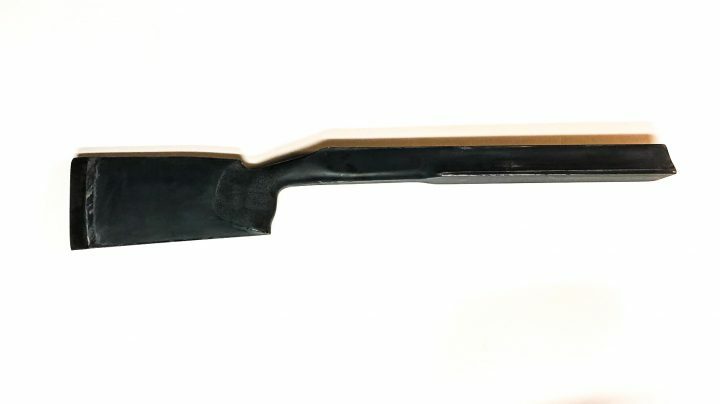 The large straight comb buttstock was designed with the bottom running at a three degree slant to allow it to move down and away from the face under heavy recoil. This allows the rifle to track extremely well. The MBR is legal for 1000 Yard Benchrest, but not for short range 100-300 yard I.B.S. or NBRSA benchrest. Remington Tang stock can be inletted for Remington 700 and remington 700 clone actions such as Defiance, Lone Peak, Stiller ETC. Benchrest Tang Stock can be inletted for Benchrest style action like Kelbly or Bat Machine.